The ACT Government will award over $10 million in construction contracts and streamline the procurement process, as part of a recent government initiative. The new reform package, Building Canberra- providing an easier way, was developed in partnership with Master Builders and announced by the ACT Chief Minister, Katy Gallagher on July 9 2014. 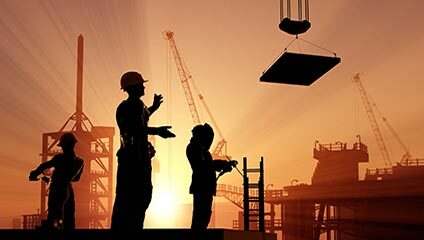 "The government has listened to the concerns of the construction industry and has developed a range of reforms that will keep construction of new projects turning over and at the same time providing a buffer to the local economy through construction stimulus” the Chief Minister said. A document published by the Shared Services Procurement outlines a number of steps for delivering infrastructure and capital works. As part of the program, the government has released 20 ‘ready now’ projects amounting to $10 million in new developments across Canberra. Improvements to footpath and cycling, building upgrades at Blaxland Centre and Primary School car-parks were among the highest value works listed under the Quick Start Projects 2014-2015 Budget. Tendering is expected to begin in July, August and September 2014. The document also provides a summary of plans to support industry growth, such as deploying new technologies to reduce bureaucratic regulations and maintaining an updated Call Tender Schedule. The e-tendering process outlined in the initiative is expected to result in quicker turnover for construction projects. In an effort to create more opportunities for local businesses, the government will also introduce pre-qualification thresholds which will be assessed against the anticipated spend on each project. These thresholds are designed to benefit small-medium sized enterprises and grant local businesses more opportunity to participate in government tenders. Executive Director of Master Builders, John Miller welcomed the reforms. “The measures will deliver an immediate stimulus and help unleash significant economic growth as the Government’s substantial infrastructure investments come on stream” Mr. Miller said. Chief Minister Gallagher said these reforms are a result of several roundtable discussions following the release of the federal budget.